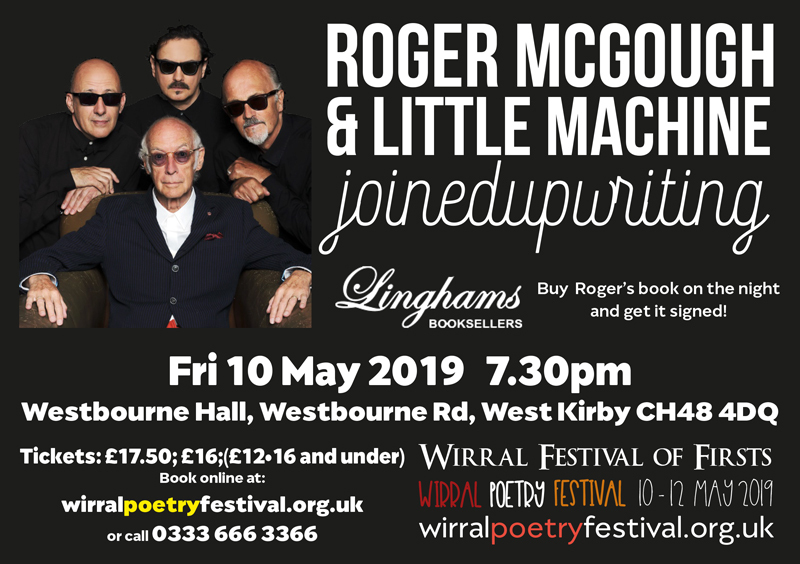 An amazing evening with iconic Merseybeat poet Roger McGough and a fantastic opener for our new poetry festival. Roger’s show with LiTTLe MACHiNe features a fine selection of vintage, classic & surprising poems set to music. It’s a gala gig that’s making waves! . Formed in 2009 LiTTLe MACHiNe set classic poems to music and perform them with energy, passion and humour. Music that moves the feet for words that move the soul!